Hi guys! Are y'all getting excited for the 4th of July in a couple weeks?! We are, for sure. 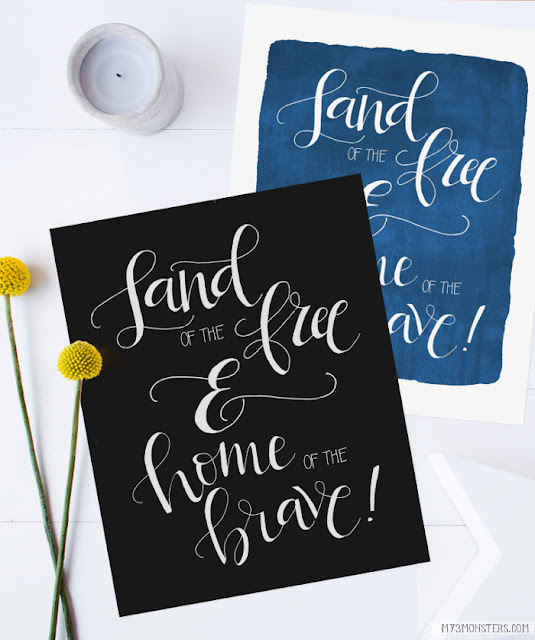 I'm sharing some hand lettered Patriotic Printables over at Lolly Jane that would be perfect to decorate your home for the big day. 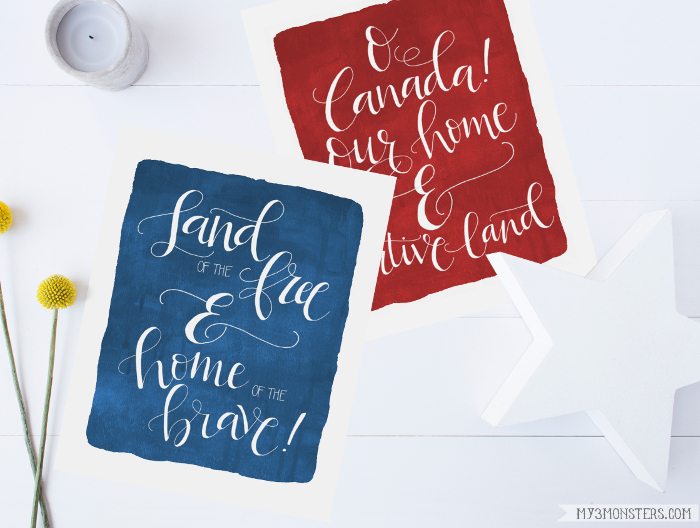 We even created a version for all our Canadian friends, since Canada Day is on July 1st. My husband is a Canadian and they have some seriously impressive national pride. I love it! Because I adore my options, each print comes in two sizes and two colors. Hopefully everyone will find something they like. Head on over to Lolly Jane to download the files.